Congratulations to Zach Reagh for being awarded the coveted Dr. William F. Holcomb Scholarship by the School of Biological Sciences! This award supports a graduate student in biomedical sciences and is in the amount of $2000. 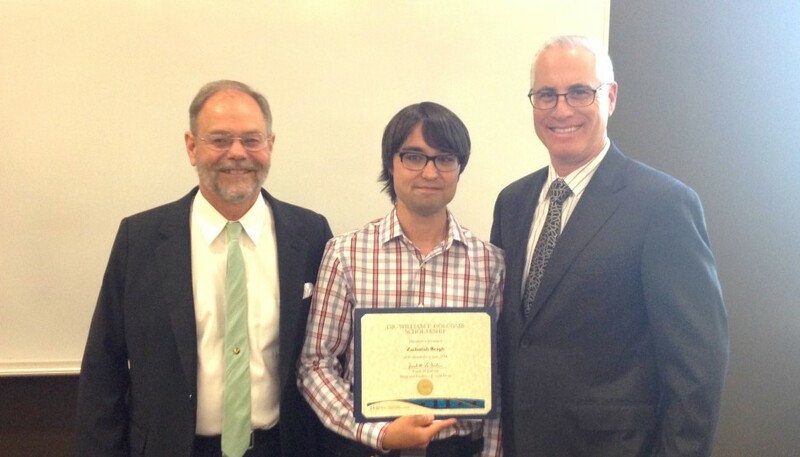 Zach is pictured here at the award ceremony with Dr. Mike Mulligan, Associate Dean for Graduate Studies, on the left and Dr. Frank LaFerla, Dean of the School of Biological Sciences, on the right.